Siirtec Nigi awarded DG Impianti Industriali a contract for the multi-disciplinary detail design of the greatest gas treatment plant in the world which will be built at the compression station in Kazatchiya, the starting point of the offshore segment of the South Stream gas pipeline, from Russia to Europe, through the Black Sea. The plant with a capacity of 195.2 standard million cubic meter per day of natural gas will be able to dehydrate gas and reduce the dew point of hydrocarbons before its introduction to the gas pipeline and this will allow ensuring conformity with strict specifications required for the long distance transportation under sea. The design of the Kazatchiya gas treatment plant is complicated by very severe climatic conditions of the area and complexity is also further increased by the situation that Krasnodar, as all Northern Caucasus area, is located in a zone of high seismic activity. 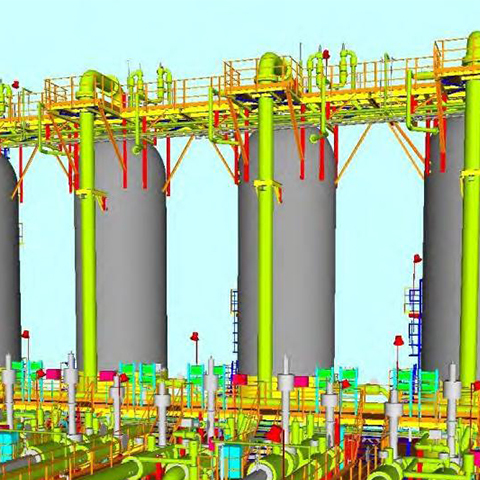 Scope of work of DG Impianti Industriali for the Kazachya gas treatment plant includes civil and structural design, piping and stress analysis design, electrical and instrumentation engineering and the study of all construction and installation sequences in order to optimize the design by full modularization of the plant as far as possible.